In window security policy, we will say that: If a system tries to connect to you existing network whether an organizational or home network,hence If you notice that those system don’t meet your minimum requirements, those system can now be considered to be non-compliant systems. Should incase You don’t know, For me I believe that you can use window security policies to prevent those computer from connecting to your network. Let’s take a scenario where the standard in your organization requires that at least certain updates and patches be installed on the operating system, that the virus software be installed and data definition be current, and no virus or malware be present in the system. Along the process of checking these computers and the these requirements are not meet, the system is deemed non-compliant, and it should not be allowed to connect to the network. We narrowed down window security polices as those window configurations and settings that controls the overall security behaviour of the system. 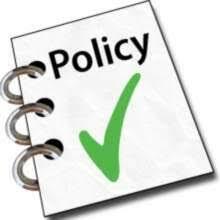 Thes security policies consist of hierarchical groupings of the related policy nodes, which contain individual policy entries you can enable, configure or disable. The Local security policy is subset of the comprehensive local policy object used to configure the general behaviour of each window system. In window workgroups, all policies, including security policies, are set in the local policy object on each individual system. To view the full set of local policies, you can open the microsoft management console MMC object. You can find the security policy setting under computer configuration — Windows settings— Security settings.The local security utility in the Administrative tool groups enables you to access the security settings node alone. But in the case that the windows computers is a member of the centralized window domain, an administrator also manage policies for all computers using group policy.The structure of domain-based Group policy object and the local policy object are the same. ← How Does Zombies And Botnets Impose Threats To Your Network.